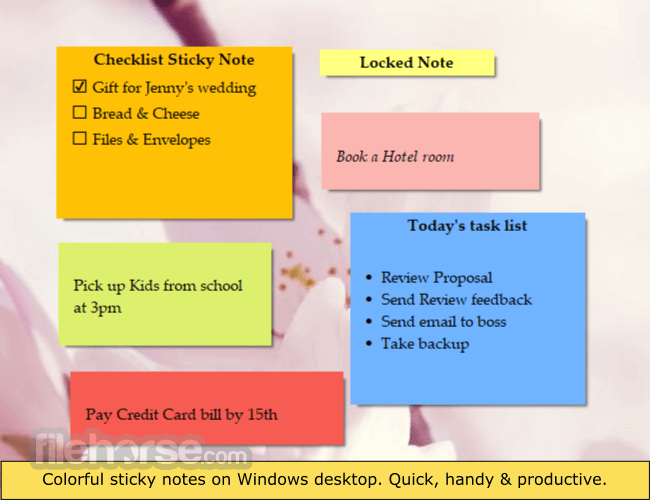 Create, customize and manage sticky notes for your Windows Desktop! 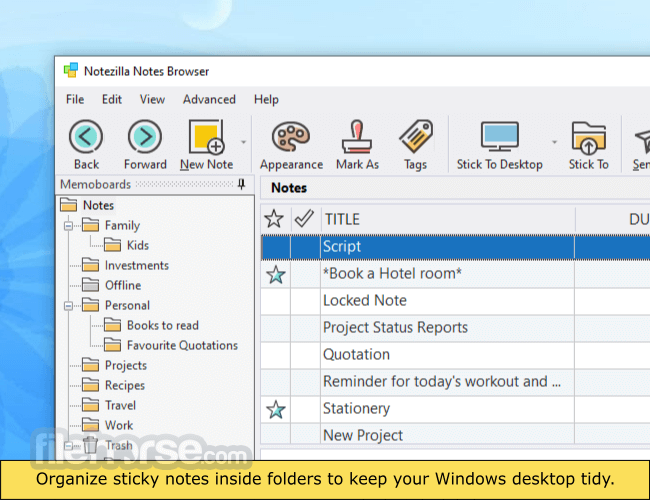 Notezilla is a sticky notes software for Windows designed to keep you well-equipped & well-organized. 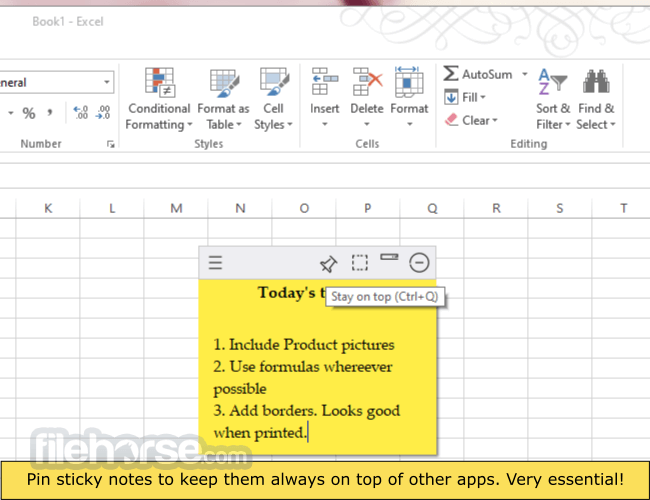 It lets you take quick notes on sticky notes (that look like 3M Post-It® Notes), right on your Windows desktop & gives you the best sticky notes experience. Sticky notes on desktop give faster access to the required information! Instantly write notes on desktop sticky notes. They appear quick and also disappear quick so that it does not affect your current activity. 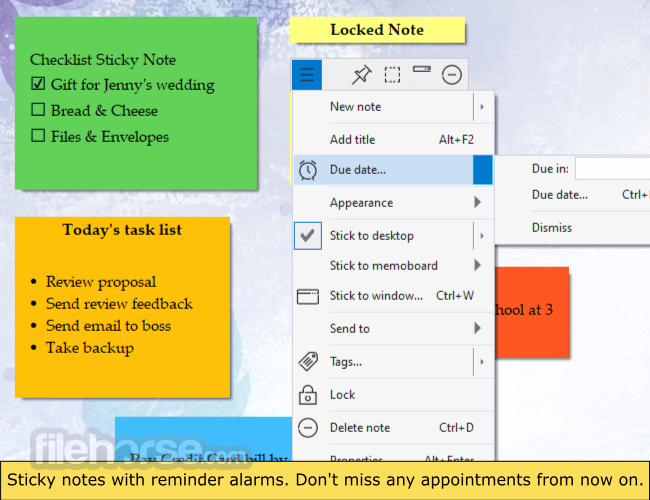 Organize sticky notes inside memoboards (folders) to avoid clutter on your Windows PC Desktop. Stick Notes to any document, website, program & window. Let them appear when ever you open that document (or website, program, window). 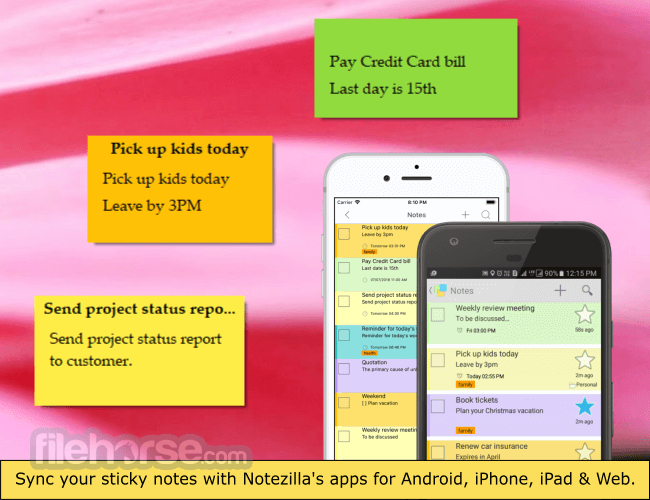 Treat notes as tasks, reminders or memos. NoteZilla presents a very easy and intuitive way of doing this. Accessible: Finding a note quickly is as important as writing a note. NoteZilla lets you locate the right note instantly. The digital sticky notes look awesome on your Desktop. Sticky Notes are skinnable and they can appear transparent too. Synchronize notes with MS-Outlook or your favorite PDA handheld device. (Note: This feature will be available in 3-4 weeks). NoteZilla intelligently manages your computer memory and resources. It is a small program (< 4 MB).